Summer is when our public lands and waters shine. Exciting adventures loom on the horizon, with endless opportunities to kayak, raft, fish, hike, bike and camp across Colorado’s 24 million acres of public lands. In the Four Corners, we are particularly blessed with endless opportunities, whether you choose to venture north into mountainous terrain, head west for red rock adventures, or better yet, paddle some of the best whitewater in the state. Around here, there is no limit to what you can do in a day’s adventure. Our state and its citizens value public lands – so much, in fact, that we were the first state to establish a holiday to celebrate these places and what they mean to us. This designated day, reserved for the third Saturday each May, is a fantastic leap in the right direction: to prize our public lands as much as we value the resources our landscapes hold beneath the surface. As a partner with 4Corners Riversports, I interact with our public lands and wild waters every day. As an active player in the outdoor recreation industry, I want to continue building off the growing sector’s momentum and continue to funnel money into our public lands projects. As a Coloradan, I want to leave this booming sector ‑ but more importantly, our public lands ‑ to my children and their children. Thinking of the future is important to me; it’s why 4Corners Riversports is a proud member of the Colorado Outdoor Business Alliance, a collective of Colorado-based companies dedicated to advocating for protected public lands. That’s why Colorado Public Lands Day brings me hope. Hope that the people of Colorado understand the importance of our public lands; hope that we as Coloradans will be responsible stewards of the land and waters; hope that we will pass down that tradition to our children so that they will do the same. These hopes, of course, will take time to materialize. In the same way that we become more comfortable on whitewater through increased exposure, there is no doubt that our stewardship values grow each time we venture onto our public lands. Protected lands are not only a great boost to our economy; they are a part of the outdoor and recreation culture that the people of Colorado love. In addition to the 13.5 million visitors that visit public lands each year, 71 percent of Coloradans use public lands all, or at least a part of, the year. Public Lands Day reflects the love and respect that the people of Colorado have for the public lands where we spend so much of our outdoor time. The current administration – President Trump, Energy Secretary Rick Perry, Interior Secretary Ryan Zinke, and Environmental Protection Agency Administrator Scott Pruitt – seems determined to dismantle the regulations designed to keep our public lands, waters and air clean. The administration appears to want to dig and drill our wild places by manipulating Americans into thinking there is a false choice between creating jobs and protecting our public lands. Blindly selling off our public lands for the sake of oil, natural gas and mineral extraction could contaminate our public lands, poison our waters, hinder our wildlife species and cripple, if not destroy, the state’s booming outdoor industry. Colorado values are stronger than this misleading narrative and these harmful attacks coming from the federal government. We showed that when we passed the bill creating Colorado Public Lands Day in 2016. And we showed it this year as we enacted two new laws to protect and preserve our public lands. I’m proud that Colorado is continuing to lead, even as the Trump Administration seeks to move us backward. Celebrated this year on Saturday, May 19, Colorado Public Lands Day is a holiday that can be enjoyed by every Coloradan. The more people who come out in support of it, the more tangible proof our legislators have to know they did the right thing when they chose to support our public lands. All over the state, events are planned to celebrate the holiday, including trail clean-ups and bike rides. All events are connected by a common theme: to serve as stewards for our lands and to teach stewardship to the next generation. I can think of no better way to spend a Saturday. Get involved with the holiday by looking up an event near you at COPublicLandsDay.com. 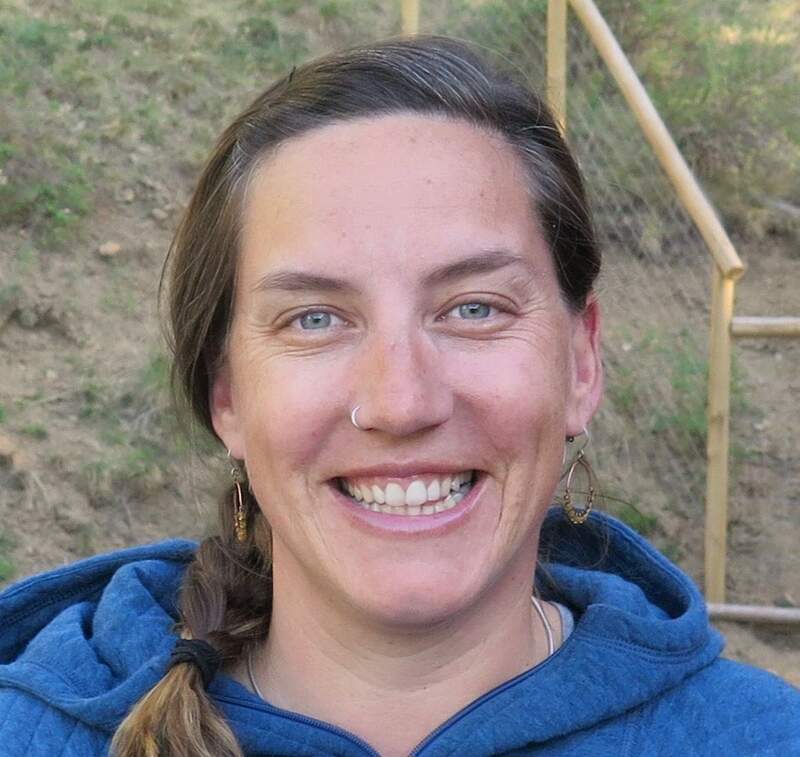 Ashleigh Diaz is the General Manager of 4Corners Riversports in Durango.